HISTORY NOT TO BE LOST! - Items on allthingsjordan.com are Final sale items. Pictures are of actual items you will receive!!! - The pictures and descriptions I provide represent the exact condition at the time I ship the item. - I am not responsible for damage done by the US Postal Service. - I will include US Postal insurance on your package IF you request it. - Each Item is packaged carefully & stamped Fragile using 2-3 day US Postal Priority shipping service with delivery/signature confirmation. at anytime for any reason. similar website prices, and other market research conducted. before making any purchases or offers. different shipping method is negotiated by the buyer. to prove I have sent the package. - I am not responsible for lost or damaged packages at the fault of the US/International Postal Service. Insurance on packages is optional and needs to be requested by the buyer!!! 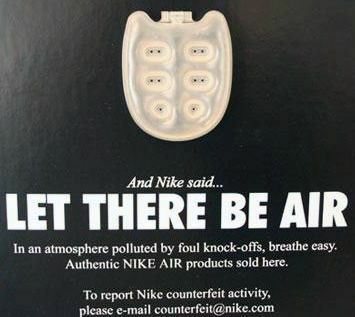 ATTENTION INVESTIGATIVE NIKE EMPLOYEES: This is a hobby site dedicated to true collectors of Air Jordans, Nike Sneakers, and Apparel. I wanted to make a place where I could showcase my passion for all things Jordan & Nike, and where others who share that passion can come to find their favorite pieces and be assured of Authenticity. I strive to hold up the Brand Image, and would never intend to take anything away from the actual company in anyway. With every decision I make regarding this site, I deeply consider Nike Inc's own policies, and try not to conflict with them, or any of the maxims your company lives by. If you feel anything on this site is worth further discussion, I am always open to discuss any suggestions or concerns you may have. Allthingsjordan.com is a place sneaker enthusiasts, and collectors, can come and be sure they are looking at 100% Guaranteed Authentic Sneakers, Clothing, & Collectible items. I have been following and collecting Nike/Air Jordan sneakers and Michael Jordan memorabilia since the '80's. I take pride in the legacy of Nike Sneakers and Michael Jordans basketball career. 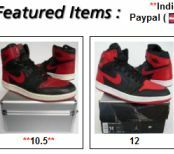 - Always Authentic Guaranteed & Licensed Jordan Brand and Nike products. - Vintage or items sold out in stores that are becoming hard to find. - Climate control stored, and packaged carefully for shipping, to preserve condition. - Always accurately described and photographed. Pictures are of actual items you will receive!!! I created this website to show people I am not just some reseller, but someone who cares very much about the history of these items, and the quality you should get in officially licensed & Authentic products.
" 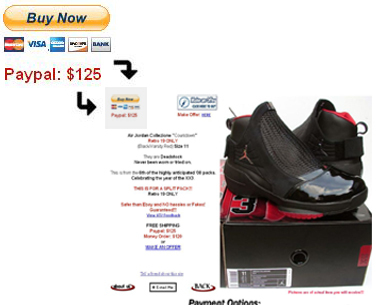 Just got the shoes fast shipping will def do business with u again "
" Great seller!!! Sent on Saturday and I got it Monday!!! Excellent quality shoes! " " The product is A+. Looking forward to doing more business. " " The shipping was quick and they were very responsive to emails "
- Offers and selling prices on allthingsjordan.com should always include shipping & handling fees. - Once you follow the simple payment instructions, you will receive a payment confirmation email. - Your Delivery/Signature Confirmation number will also be emailed to you the day I ship the item. - You will receive your item in 2-3 business days via US postal Priority Shipping Service. *If you do not receive a reply: Either you entered your email address wrong, or your offer was way too low. *Please keep your offers reasonable. These items are AUTHENTIC. Please keep your offers reasonable.
" The shoes came as promised.Fast shipment with no problems at all. " " Damn that was fast shipping, great shoes will do business with again "
After viewing pictures and description, Look for a "Buy Now" button on the top left of the items page. 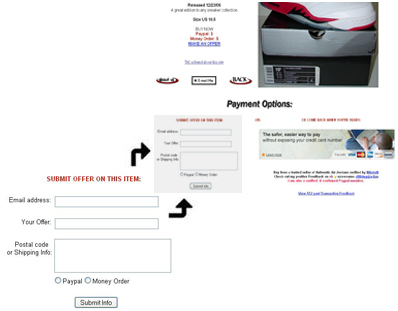 Click on the button and you will be taken through the secure paypal checkout process. After viewing pictures and description, Look for the "Submit Offer" form on the bottom left of the items page. Fill in the forms and click the Submit Info button. I will contact you to continue negotiations. 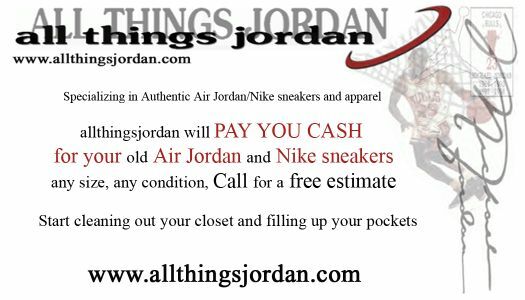 Allthingsjordan is in NO WAY affiliated with Nike, or Brand Jordan. I just sell their products. If you want to get rid of something in your collection, I would be very interested in seeing what you haveas well. I could even post them on this site for others to see if i'm not interested in purchasing myself. You will need to take quality pictures of your items and email them to me. to view an items page.